Hanoi (VNA) – Vietnam’s population is in the process of rapid aging, with people aged 65 and above estimated to account for 13 percent of the total number by 2020, according to a report. The report on building a comprehensive national policy on response to aging population was released by the Department of Social Assistance under the Ministry of Labour, Invalids and Social Affairs at a workshop held in Hanoi on March 29. Accordingly, Vietnam now has about 11.3 million elderly people, including about 350,000 aged 90 upwards, and 1.8 million aged 80 and above. Vietnamese people have an average longevity of 74 years and up to 70 percent of its elderly people live in rural areas. The report said 96 percent of the elderly people have public health insurance cards. Nearly 100 central- and provincial-level hospitals have geriatric departments accommodating over 8,000 elderly-prioritised beds. A number of campaign initiated by the Vietnam Association of the Elderly, particularly the action month for group, have been launched effectively. Speaking at the workshop, President of the Vietnam Association of the Elderly Pham Thi Hai Chuyen said response to the aging population aims at not only meeting old people’s expectation and demand but also tackling aging population impacts on all other age groups. She noted a policy with comprehensive approaches that deal with both aspects is needed, adding that it should be designed suitable to general socio-economic plans. 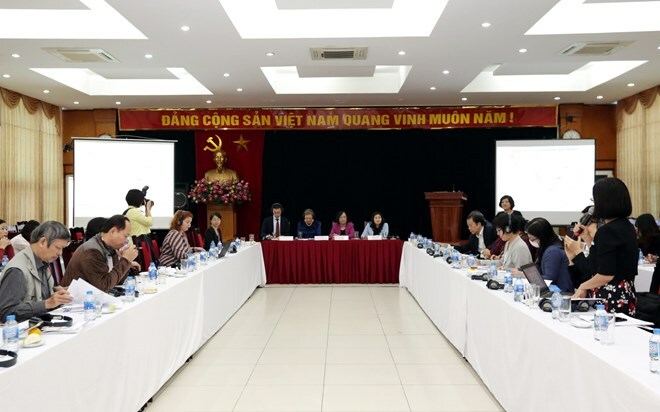 Deputy Minister of Labour, Invalids, and Social Affairs Nguyen Thi Ha said the workshop was an opportunity to boost cooperation among organisations and agencies working on issues related to the aging population and elderly people. Ha unveiled that with the technical support from the UN Population Fund, cooperation among sectors and agencies are necessary in building specific programmes on the elderly’s social welfare, employment, health care, and urgent aid, among others. Regarding the revision of the Law on the Elderly, participants suggested that Vietnam should complete policies to create favourable conditions for old people to work and encourage enterprises, families and communities to take care for the elderly.